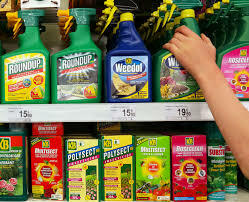 (Beyond Pesticides, January 5, 2018) After 11:00 pm on January 3, the City Council of Portland, ME voted unanimously (9-0) to restrict the use of toxic pesticides on all lawns and landscapes within the City, both public and private. Passage of the new pesticide ordinance, one of the strongest in the country, represents the culmination of nearly two and a half years of intense debate and discussion between residents, advocates, opponents, and City of Portland officials. Local and national health and environmental groups are praising the City for its diligence in addressing the issue, and its ultimate decision to restrict hazardous pesticide use in the face of insufficient protections from federal and state regulators. Read Beyond Pesticides’ and the Maine Organic Farmers and Gardeners Association’s (MOFGA) op-ed in the Portland Press Herald. The ability to apply pesticide restrictions to private property is permitted within only a handful of states due to preemption laws which prevent localities from enacting pesticide policies stricter than the state’s. While Maine localities are not preempted, during the course of deliberations in Portland, Governor Paul LePage and other state lawmakers friendly to the pesticide industry launched a failed attempt to pass preemption legislation. The bill was rejected unanimously by a state legislature committee. In August of 2015, Portland Protectors presented the City Council with a draft pesticide ordinance, and launched a petition which eventually received over 1,300 signatures. A subcommittee hearing scheduled in October of that year saw strong turnout, though city staff also presented their own version of an ordinance which was limited to public property, and included a number of exemptions. After several subsequent hearings, the Council decided to form a Task Force to further study the issue. Advocates viewed the Task Force as tilted toward industry interests, and its final recommendation reflected that notion, with language encouraging an outdated Integrated Pest Management approach that allowed the use of undefined “least-toxic” pesticides. As Portland continued its debate, neighboring South Portland passed a model, comprehensive pesticide reform policy that specifically defined allowed pesticides as those permitted under organic production or considered minimum risk by the Environmental Protection Agency. Advocates in Portland seized on the passage of South Portland’s policy, and urged the City Council take up an ordinance modeled after their neighbor’s, rather than the recommendation of the Task Force. Portland’s elected leaders listened to the concerns of their residents, and final debate over pesticide reform considered a South Portland-style ordinance. City staff recommended a range of changes to weaken the policy, however only two minor amendments were included within the final bill passed this week. These amendments delay the start date of the ordinance on public property from March 1, 2018 to July 1, 2018, and include an exemption for the use of toxic pesticides to control invasive plants on public property. In addition to creating specific criteria for what pesticides are allowed for use in the City, the ordinance establishes a Pest Management Advisory Committee (PMAC) comprised of City staff, land care and pest control experts, and Portland residents. Within PMAC, a waiver committee will review requests to use more toxic pesticides, determining whether their use is necessary or would further endanger public health. The ordinance also includes a strong outreach and education campaign to ensure the community is aware of the changes, and of best practices for their lawns and landscapes. Violations of the ordinance will be subject to civil penalties as enforced by the City Manager. After the new July 1 start date for restrictions on public property, all private property will be subject to the ordinance beginning on January 1, 2019. “We also hope the council will come back later and restrict synthetic fertilizer use and restrict the sale of synthetic pesticides and fertilizers,” she said. There is growing recognition that the success of policies that restrict pesticides entail a change in management practices away from fertilizers which damage soil and undermine healthy turf. Beyond Pesticides’ list of fertilizers compatible with organic landscape management intends to help localities establish a foundation for healthy turf management. After the passage of Portland’s ordinance, advocates are focusing on creating a strong PMAC committee, implementing the outreach and education program, and hoping that additional communities in the state will follow the City’s lead. As communities and states continue to rely on an increasingly lax and industry-friendly EPA for determinations about the safety of pesticides, more and more concerned residents are contacting their local elected leaders, and more and more leaders are listening, and acting on their constituent’s concerns. The passage of Portland’s ordinance is yet another example of the power of grassroots change to protect not only our own health, and particularly the health of children, but the also the air we breathe, the water we drink, the soil we use to grow our food, and wildlife and complex ecology upon which we all rely. If you’re interested in getting active in your community and passing a policy like Portland’s, reach out to Beyond Pesticides for the tools and the strategy you need to succeed. Contact us at 202-543-5450 or email [email protected]. Read Portland’s ordinance here (an updated document including the two additional amendments voted on before final passage will be added when it becomes available). This entry was posted on Friday, January 5th, 2018 at 12:00 am	and is filed under Uncategorized. You can follow any responses to this entry through the RSS 2.0 feed. You can skip to the end and leave a response. Pinging is currently not allowed.